On April 1, 2016, Wynonna Earp premieres on Syfy. Based on the comic book of the same name, Wynonna Earp features a fearless female lead who takes on the Earp family curse of battling demons. 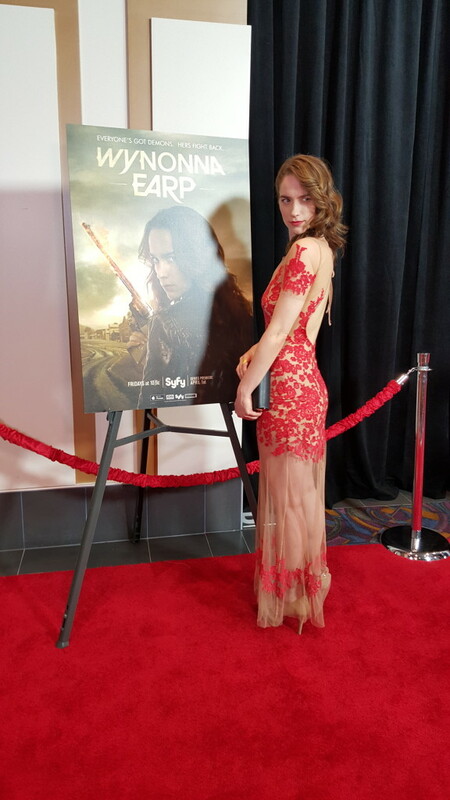 At WonderCon 2016, OHSOGRAY hit the red carpet at the Wynonna Earp premiere and talked with Melanie Scrofano (“Wynonna Earp”), Shamier Anderson (“Agent Dolls”), Tim Rozon (“Doc Holliday”), Michael Eklund (“Bobo Del Rey”), Dominique Provost-Chalkley (“Waverly Earp”), showrunner Emily Andras, and the comic book’s author, Beau Smith. Wynonna Earp premieres Friday, April 1st at 10/9c on Syfy.